Mastering is a very different world from recording and mixing. 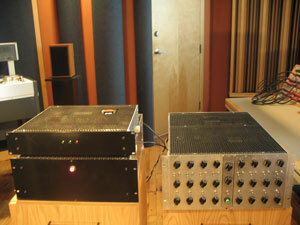 In premier mastering studios our equipment is the best available, and the acoustic environment is incredibly accurate. This enables us to hear the foibles in every link in the audio chain. 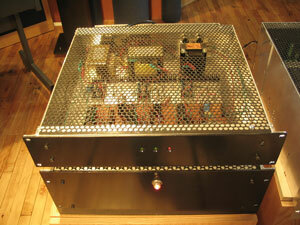 Back in the early 90s I began exploring Single-Ended-Triode (SET) power amplifier topologies. 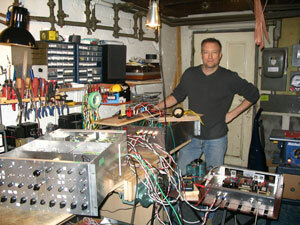 As I got deeper into mastering I began to search for that quality of sound in my processing equipment. In guitar circles, it would be termed: The Quest For Tone. I am not trying to belittle all the great equipment out there, it is just that this particular amplifier topology was never really embraced commercially due to its high cost and relatively low power output. When I was producing albums, I was always attracted to equipment that gave me something on a visceral level: engagement, musicality, whatever you want to call it. I will say that most of those pieces of equipment have two knobs or less. They did one thing and they did it well. 3. No negative feedback. Some designers use it incredibly well. But the best ones avoid it or use it in very small “local” amounts. It does add a time smear component into the sound, and I wanted to attain linearity without it. 4. Transformer coupling only, no coupling caps. Transformer coupling is much more efficient than an RC coupling. Since the efficiency of each stage is maximized, it negates the need for high gain stages and their associated noise, lack of linearity, and instability issues. 5. The power supply is choke loaded and laden. This provides exceptional passive regulation and isolation for all the stages. 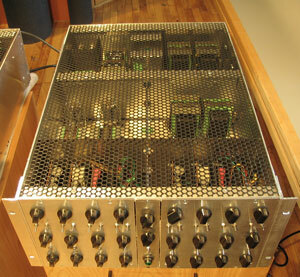 It is also housed in a separate chassis to keep radiated interference out of the critical amplifier stages. The power supply is designed for effortless dynamic response and musicality. 6. No solid-state devices in the signal path. The only solid-state devices are located in the regulators for the filament supplies. 7. No pots, only stepped switches, I use Elma and Grayhill. This insures repeatability and optimum fidelity. What I ended up with is possibly the largest equalizer on the planet. This topology is neither cheap nor small, and that is why it is not in favor. The current demand is for small multipurpose units that fit into small project studios: a fidelity of convenience. Great fidelity is often inconvenient on every level, and I am in the business of inconvenient fidelity.